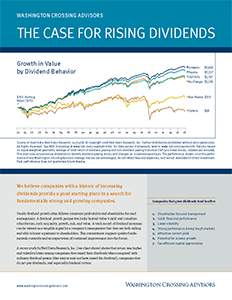 We continue our focus on the potential impact of President-elect Trump’s policy proposals on the economy and our long-run capital market assumptions. The “Trump” rally signals an expected policy shift based on candidate Trump’s promised economic reforms. His economic plan seeks to achieve faster growth through a combination of proposals designed to lower taxes and regulation. Is this expectation reasonable? To begin with, the plan, as outlined during the campaign, is large. If implemented as proposed, it would include the largest tax cut since the 1980s. For individuals, the tax plan consolidates seven tax brackets into three, lowers rates at every income level, flattens the tax structure, and introduces other changes. For corporations, income tax rates fall to 15% from 35%, capital investment becomes fully deductible from income, enacts a deemed repatriation of foreign profits at a 10% tax rate, and other changes. We also expect to see proposals on regulation and trade, but specifics on these issues are less clear. This week’s commentary will not seek to address these issues or the macroeconomic effects that financing these expected deficits will likely bring. 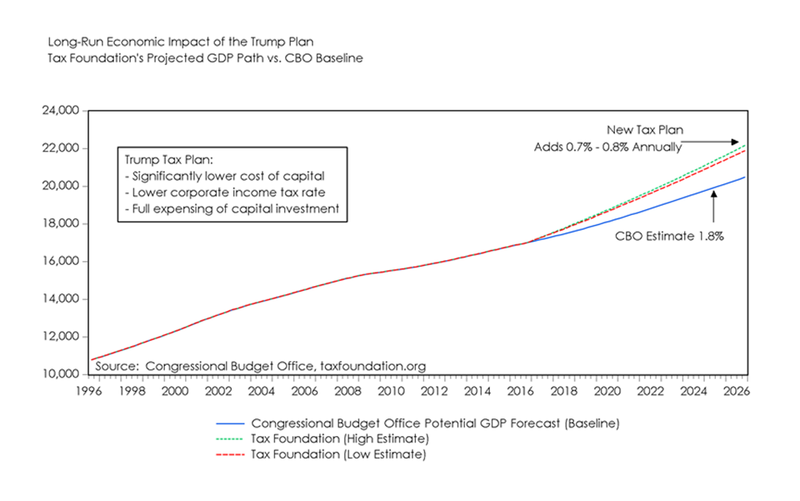 The non-partisan Tax Foundation looked at the president-elect’s plan and estimated its long-run effect on growth (chart, above). They concluded that a significantly lower cost of capital, due to much lower corporate tax rates and expensing of capital expenditures would boost GDP 6.9-8.2% above the Congressional Budget Office’s (CBO’s) forecast level at the end of ten years. The largest impact on the economy comes from changes in expected investment, which are expected to increase by 20.1% to 23.9% above the level currently expected by the CBO. Wages and jobs are also expected to be higher by 5.4-6.3% and 1.8 and 2.2 million, respectively. It is important to note that the study explicitly excluded the effects of any other proposals that were not tax-related. Examples include infrastructure spending, regulatory reform, immigration, and trade. Tariffs, for example, would negatively impact growth while infrastructure investment would further enhance growth. We continue to believe the president-elect will push first for his domestic policy agenda, led by tax and regulatory reform. A plan to address infrastructure is also likely. The combination of front-loaded tax cuts and spending would pull forward growth as federal deficits initially produce surpluses in the private sector (higher profits and wages). In this scenario, growth could be higher than that modeled out by the tax foundation in the early years, while issues like immigration and trade could weigh on growth in the outer years. they are compared to the underlying baseline of what would occur under current policy. Congressional Budget Office (CBO), even if policy remains unchanged. Keep in mind that the Trump plan envisions 4% growth versus a 1.5% – 2.0% CBO expectation under existing assumptions. The difference between the existing CBO baseline and President-elect Trump’s 4% goal is a very large 2-2.5%. 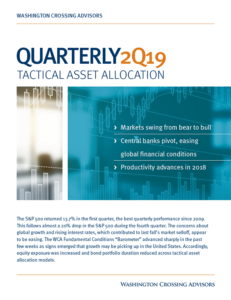 We recently increased our 2017-2019 expected growth rate by 1% from 2 – 3% growth to 3 – 4% growth in recognition of a higher probability of increased fiscal stimulus. The lighter tax on investment, changes to regulation, and fiscal push are the broad outlines of this “pro-growth” plan. The scenarios laid out above are but our initial attempt at reconciling how we might get to President-elect Trump’s 4% growth under an optimistic set of circumstances. Taking into consideration the direct effects on growth from anticipated investment and before factoring in non-tax related policies, we believe such a growth target is reasonable in a good case scenario.